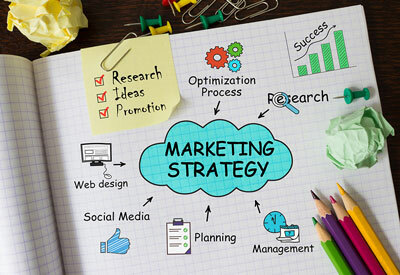 The marketing plan is the first step to marketing success. Our philosophy of service is to work closely with our clients to learn about their businesses and their goals. Then we make recommendations. We put ourselves into the shoes of your customers to ensure that the message is delivered to the right market in a format they can relate to. Your written marketing plan becomes your map to marketing success and marketing budget control. In addition to professional logo design, our identity package includes the design of your business card, letterhead and no. 10 envelope. We can create your letterhead and envelope for professional printing, and also provide it in Microsoft Word format for printing on your in-house printer. Logos are always provided in the various formats you need for print and web use. From concept through completion, CompEdge delivers high quality, professionally designed print material. Whether it’s a brochure, annual report, point of sale poster, menu, print advertising, signage, or other marketing materials, getting the message across in an attractive, concise manner is the goal. If you don’t have a website yet, or yours has not been updated in a long time, please contact us. A professionally designed and written website is an essential part of the marketing mix. We custom design a site for your business and provide continued maintenance services. 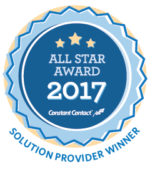 As a Constant Contact® partner, Competitive Edge Marketing & Design offers complete setup of your free 60-day trial account, customized design, and management of your email marketing including e-newsletters, on-line surveys, event marketing and registration, and more. Turn your customers into your best marketers through the use of social media. Reach any number of potential customers or clients. Let’s explore the possibilities together. For all your marketing and graphic design needs, contact us about our services at 978.632.1571 or Email us today.